Hello everyone, and thank you so much for your continued support. We have closed the CSA membership for the season. I know those of you who joined are anxiously awaiting the opening day - we are now looking at June 27 to start the CSA and open the farm stands in Ridgefield and Danbury. Things are progressing nicely albeit a bit late again this year due to weather conditions. We have many wonderful greens growing and ready, and the carrots, beets, onions, squash and more have all been planted and are looking great. I will add some new photos of the progres in the day next or two - and will continue to keep you all updated on a weekly basis. Meantime, Happy Memorial Day to everyone and keep the good weather going! The 2015 season is approaching and we are again offering full and half shares for the CSA. for more information, see the HOW DO I SIGN UP section of this website....hope to see you all this season...the seed catalogs are in and Bob is like a kid in a candy store deciding what new crops to plant this year! NEW LOCATION IN DANBURY IS OPEN! We are excited to announce our second location - Mill Plain Road, Danbury - is now open every day from 10-6. We are located right in front of the plaza that is home to Spasi Restaurant, Bagelman, Lou's Deli and Peachwave. Well we are FINALLY getting to open our stand outside Peachwave Yogurt, 32 Danbury Road, Ridgefield, CT as of 6/28/14 hours are 10-6. 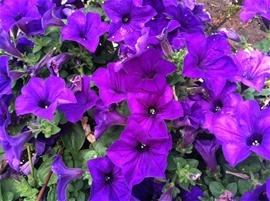 It has been a long cool wet spring and our plants are way behind. Everything is growing very nicely now that the weather has turned warm - or hot! Beans, snap peas, lettuces, zucchni's, summer squashes, onions, leeks, kale, carrots, beets, potatoes....nice!! CSA shares are closed for the season. Welcome to all the new members and hello again to our returning ones. Due to the cool rainy spring we have had, we are definitely behind a few weeks in our planting/harvesting schedule. We have had to plant and replant, but never fear, I think Mother Nature has finally decided to let Spring arrive and the weather has been wonderful lately. So encouraging to see all the hard work taking fruition. Tomatoes are blooming on the vines, squash flowers are arriving on the plants, onions, leeks and cukes are looking great! nt to mention the lettuces, kale and chard! So stay tuned. 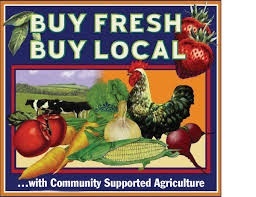 We are hoping to open our farmstand outside Peachwave Yogurt by the 28th of June and start our CSA delivery then. We will, of course, make up any lost weeks at the end of the season, including our extra week for those members who signed up in time to get it. Seedings are being planted. Lettuce is up around 2 inches already and going into the greenhouse. So exciting. Now if only spring would really and truly spring!!! Again, we are going to be providing Bailey's Backyard as well as other restaurants in town with our local produce. 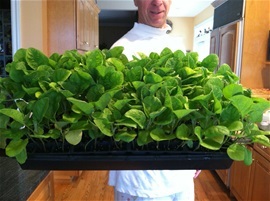 If you are still interested in our CSA, please let us know ASAP as the time is drawing to a close to join. We are pleased to let you all know that our inaugural season providing a Community Supported Agricultural program (CSA) last year was such a success that we are again jumping in for the 2014 season. This year we are offering an additional bonus. The length of the regular season runs 17 weeks from June 21 to October 18. We are offering a bonus week (6/14)) to those who sign up by FEBRUARY 10 giving those members 18 weeks for the price of 17. Additional information can be found in the tab titled What Is A CSA. We hope to see you back this season as well as welcome new members. Thank you to all our loyal and new customers who have subscribed to our CSA! We hope you are as excited about this venture as we are. We are still planning for opening the week of June 17th - weather willing! To bring you up to speed what we have been doing the past two months. Bob has been busy ordering seeds, rototilling the land, planting the crops, building the greenhouses, moving the baby plants from the grow room to the greenhouse and finally planting the hardy crops directly in the soil. We have tomatoes growing beautifully, potatoes in the ground, red and white onions that look outstanding, green beans, snap peas, beets, eggplant, zucchinis, swiss chard, kale, lettuces and much more! Check out the new photos posted in the picture section of the work in progress. One word about how this will work again, since some of you have asked. We will be picking a day of the week that we will be distributing the produce. Before the season opens, we will pass that along to you. Pickups will be made from our daily farm stand outside Peachwave Yogurt. 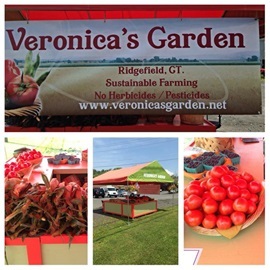 As always, if anyone has any questions, please don't hesitate to contact us directly at veronicasgarden9@aol.com. The season has finally arrived and we had our first CSA pickup last weekend. The extrenely cold and very rainy weather definitely hampered our crop growth by at least 2 weeks, but we have persevered and Mother Nature decided to give us a sunny warm break for a bit! Everything seemed to pop with a little bit of extended sun and heat. The corn is growing, zucchini plants all have blossoms on them, green beans and snap peas are flourishing. The herbs are all doing well as are the onions and leeks...looking outstanding! The lettuces, beets, kales, and other greens are still holding on being that the nights are cool - too much heat and they bolt. I hope everyone enjoyed their first round of veggies. Looking forward to some fresh fruits this weekend...blueberries and strawberries. ALSO -- new recipes have been added to that section for the produce you are receiving now -- if anyone has any others to add, please send them to me at veronicasgarden9@aol.com.